Selma tells us the story of the people of Selma’s fight for the right to vote through peaceful protests (and dirty strategy). Ironically, the movie’s strongest point is the one the Academy missed – the acting. Almost all the actors were soooo good. Even those with little roles. This might be unpopular but my favorite was Tim Roth (the actor, not his character. His character was a jerk). Well, i might be biased because I loved Lie To Me. I found Selma… lacking. I think it lacked the emotions, or the political savy-ness, or some extra umph – which I think was a shame because the actors are super capable, and the storyline is interesting enough. What I liked about the movie is that for a film about race, it’s not entirely racist. I mean, it did not, well at least for me, forced me to like MLK. The movie made me question and doubt him (but got his point at the end). I blamed him for some of the violence, and I’m glad that the movie gave me the liberty to think that, not box me to think otherwise. Selma was an ok film. Strong acting. 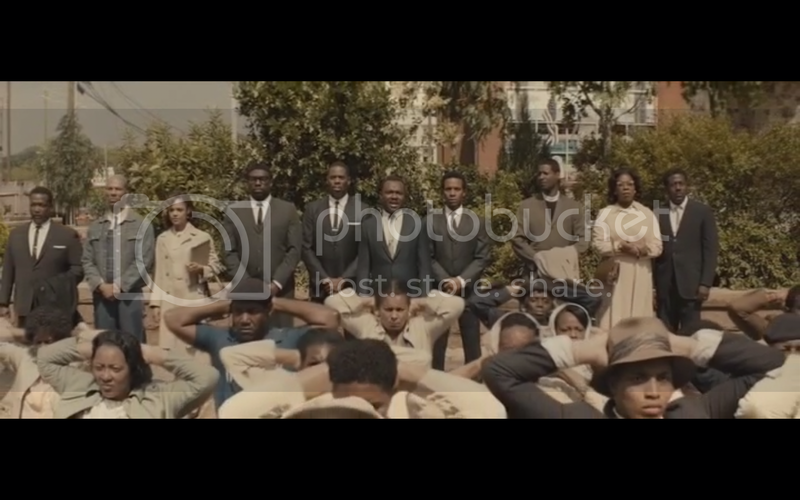 The storyline is important and interesting, but sadly, I found the movie was not strong enough to show the strength of the people of Selma. I am choosing Whiplash over this. Because Whiplash is osom.